It’s another unseasonal day here in Brisbane, with some heavy humid showers and warm breezes. Today’s been easy-going after a fun time at a party seeing in the new year with friends last night. Then I will be spending tomorrow, my last day here, at Australia Zoo, which was founded by the late Steve Irwin (though he founded it while still alive). The thing is, I’ve decided that “Australia Zoo” is something of a dull name for a zoo in Australia, especially one associated with one of the country’s most flamboyant personalities. So I’ve renamed it “Crikey!land”. The exclamation mark in the middle is important. I also feel that the dollar is a far too boring name for Australia’s currency, and makes it seem too similar to the USA. 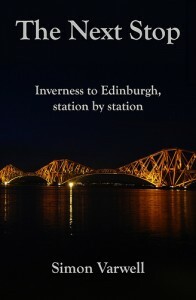 So I reckon it should be renamed too. One idea I had is the bruce, which could be made up of one hundred sheilas, but my personal favourite is the koala, consisting of one hundred streuths. Unless you, dear reader, have any better suggestions. Tuesday 1 January 2008 in Travel. How about a “Fair Dinkum”, being made up of 100 “You Beauties”? 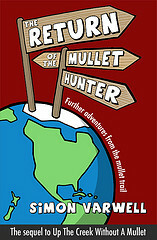 Enjoy your mullet hunt down-under! As always, your blog is a great read!! Thanks for visiting Bec who/wherever you are! And thanks for your excellent currency name suggestion. You’re welcome! I have been reading your blog for a while now. I got onto it looking for info about Glasgow as I was planning to move there next year. I am an Aussie living in Brisbane (sorry about the rain we put on for New Years!!) and will be moving back (lived in Manchester and Scotland for a couple of years) to the UK next year, just deciding where to go….London, Glasgow, Manchester, Edinburgh, Cardiff…. the choices are endless! 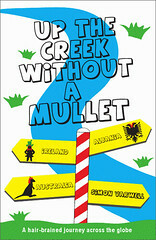 Anyway, all the best on your mullet hunt!